The sky is gradually clearing this morning to reveal a bright and pleasant, mild Spring day. The breeze is drifting offshore again, that slight chill in the air indicating a drift to more of a north easterly direction and so just allowing a little more bump on the otherwise smooth and hollow wave faces. The swell has eased back a foot or so in size but it is still a decent two to three feet as high tide approaches, again promising another day of outstanding surfing! The breeze has backed that few degrees more to the north east making for a light onshore crumble at Harlyn this morning. And the surf is a little smaller than it has been here too. But it is still fun looking and the half-term visitors are probably going to have loads of fun here today. 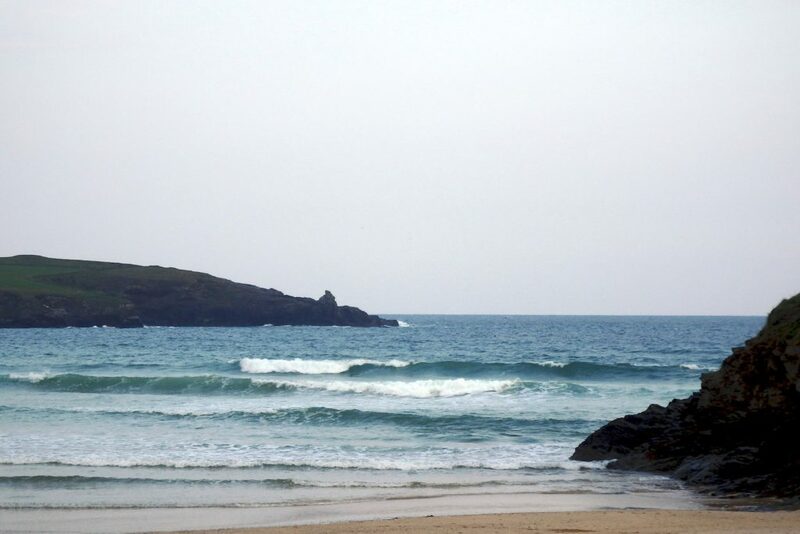 The other side is looking gorgeous with smooth, offshore conditions but the younger groms are going to love Harlyn today too! I hope that you managed to rest up a little on Wednesday as well as enjoying those smaller conditions because today could just be epic! Four feet plus of offshore groomed and smooth swell lines under a gloriously clear sky should tempt you in all along the coastline all day long!